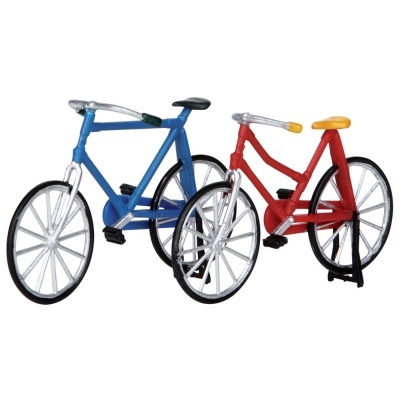 Lemax Bicycles Set of 2 miniature village accessory depicts two individual traditional self standing red and blue push bikes on stands, for placement in and amongst a Lemax town scene. A handpainted Lemax Village accessory which has been part of the Lemax miniatures collection since 2011. 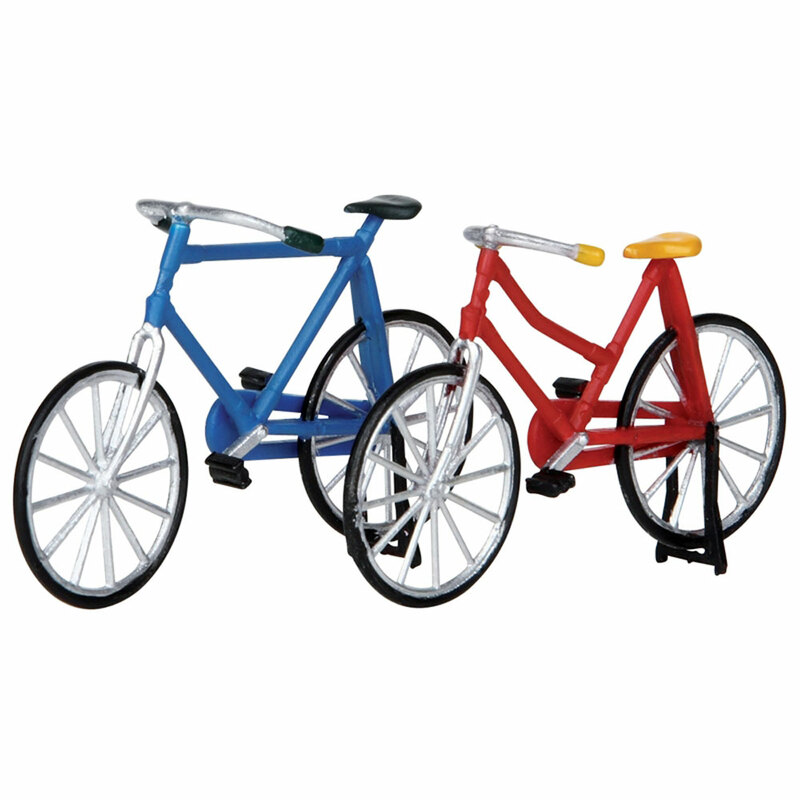 Fast turn-round and cracking price!